Average score of my students this year is 90% & the highest is 94%. If your wards target is 90 % PLUS IN BOARDS 2019 THEN BEGIN early AND STAY AHEAD. Tutorcom also means TUTOR COMMUNICATIONS is a Learner Centric Facilitator. We feel proud of ourselves and our students who jointly put efforts to improve their academic grades and school performance. The average tutoring experience at Tutorcom is 10 man-years. Tutors at Tutorcom.in strongly believe that a teacher is a learner first. So it would be a common sight to find our tutors carrying academic support materials with them. This inspires the students too. At Tutorcom.in your academic profiling and assessment too is done at a very nominal cost. Please avail and benefit from it. Area is not matter for us, We provide competent tutor (who is a subject expert) in any areas or localities. Our tutor is a full time professional (mostly) who takes pride in the teaching profession. For us TUTORING is a passionate profession. At Tutorcom.in your academic profiling and assessment too is done at a very nominal cost. Please avail and benefit from it. The most important aspect in SAT critical reading section is reading with an eagle�s eye. Secondly , make a habit to use pencil while reading section and mark the important sentences and circle the keywords so that it works as a reference while doing questions. Vocabulary is the root cause of success in the whole SAT . it helps you in doing section 2 and section 5 and also while attempting the Reading section. 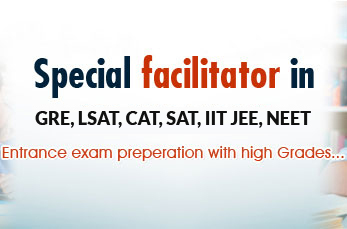 Our practice test contains vocabulary of the level used by the SAT test makers.TUTOR COMMUNICATIONS helping your grades in VERBAL REASONONG , MATHEMATICAL REASONING AND CRITICT REASONING by providing you A REGULAR practice ,mock tests and feedback and LOADS ... of confidence .... to face the real SAT EXAM. Match the profeciency of SAT test makers. All in all, our endeavour is to provide your ward 360 degree solutions. For a home tutor in west end just SMS to 9971016770. A qualified, Proficient and sauve tutor will drop at your place in no time.